Los Angeles, CA, United States (4E) – Earlier this week, rumors have swirled claiming that Rob Kardashian and Blac Chyna have broken up because he deleted all her photos on his Instagram account leading to new reports saying that Lamar Odom advised his brother-in-law to stay with Chyna for the sake of their baby. Kardashian and Chyna have reportedly been in a difficult journey since the pregnancy started as she has been very emotional. Also, they have been dealing with stress and pressure from their reality show “Rob & Chyna ,” which is set to air later. 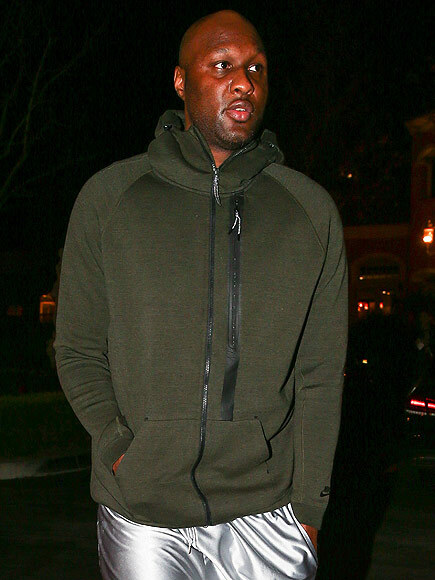 Due to this, Odom has advised Kardashian with what he needs to do. Many are saying that they are back together again but the two are yet to release an official statement about the real status of their relationship. It seems that the Kardashian-Jenner clan is having Chyna’s back despite the supposed break-up with Rob as Kim Kardashian recently uploaded a video of her rubbing the model’s baby bump. In the video, Kim says that they are in San Diego but did not say if Rob was with them. Chyna was also seen still wearing her engagement ring so it is possible that they are still together.